Play Farm Invaders and more New Games Games on Games1.com! Fans of the arcade classic Space Invaders will love Farm Invaders! 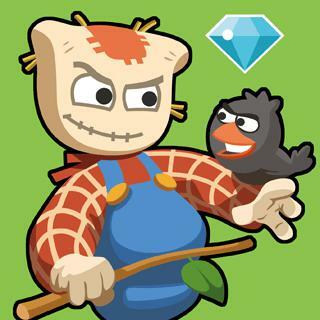 In this cute Shoot 'em up game you are a little scarecrow and have to protect the harvest from hungry ravens. Take the gun, shoot the thievish birds from the sky and avoid grains and pumpkins that are being dropped. You'll need all your skills and good reflexes to set a high score in this exciting action game!